Blankenship & Blankenship, PLLC is focused on providing high-quality legal services at reasonable costs. 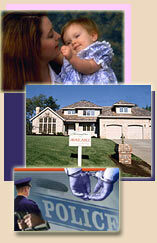 We are experienced attorneys serving Genesee and surrounding counties. We handle a variety of legal matters including domestic relations, civil appeals, probate matters, contract matters, criminal matters, and mediation services. Please feel free to contact us to discuss your legal matter. Become a Fan, join us on Facebook. The material presented on this site is included with the understanding and agreement that the law office of Blankenship & Blankenship, PLLC is not engaged in rendering legal or other professional services by posting said material. The services of a competent professional should be sought if legal or other specific expert assistance is required. This website is not intended to constitute legal advice or the provision of legal services. By posting and/or maintaining this website and its contents, the law office of Blankenship & Blankenship, PLLC, does not intend to solicit legal business from clients located in states or jurisdictions where the law office of Blankenship & Blankenship, PLLC or its individual attorney, is not licensed or authorized to practice law.